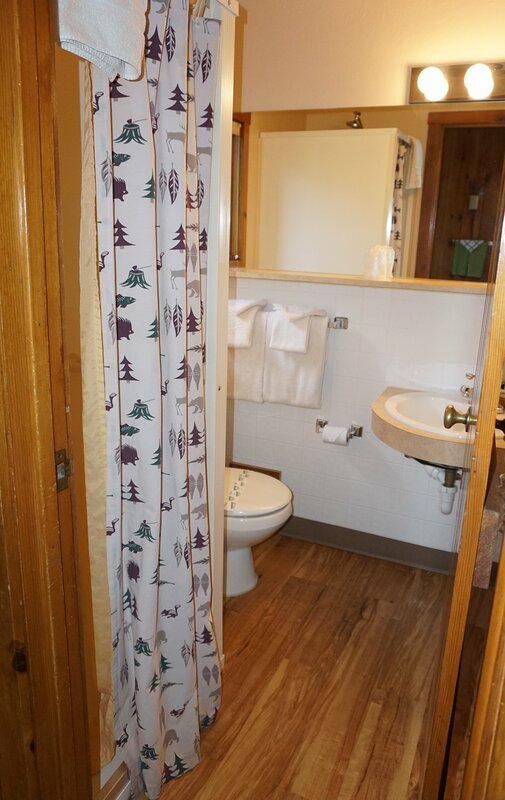 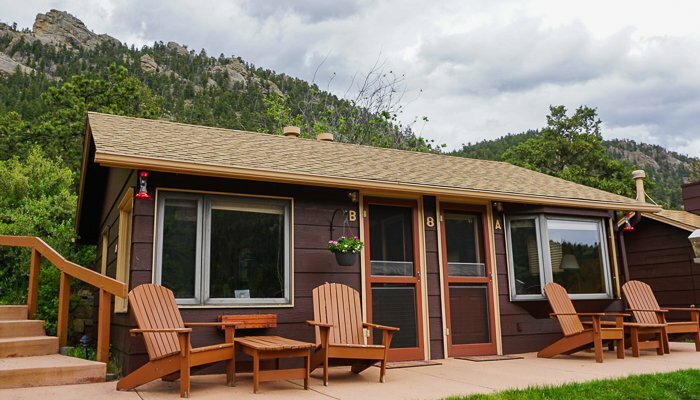 To view availability calendar for our Knotty Pine Room 8A, click here. 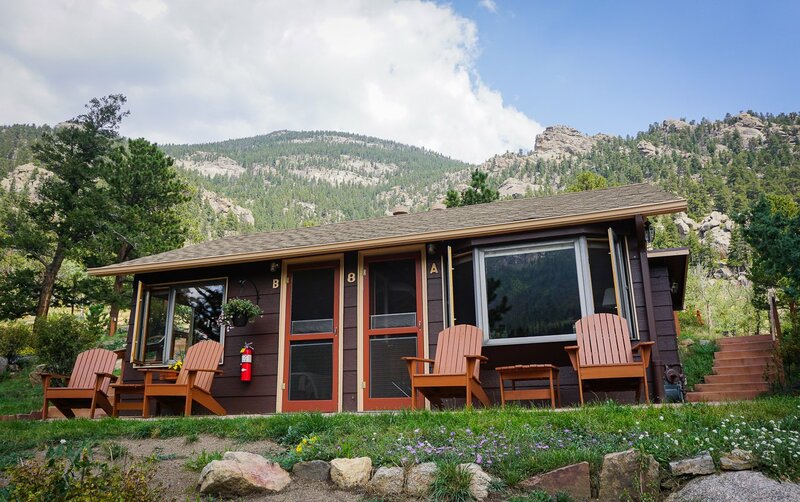 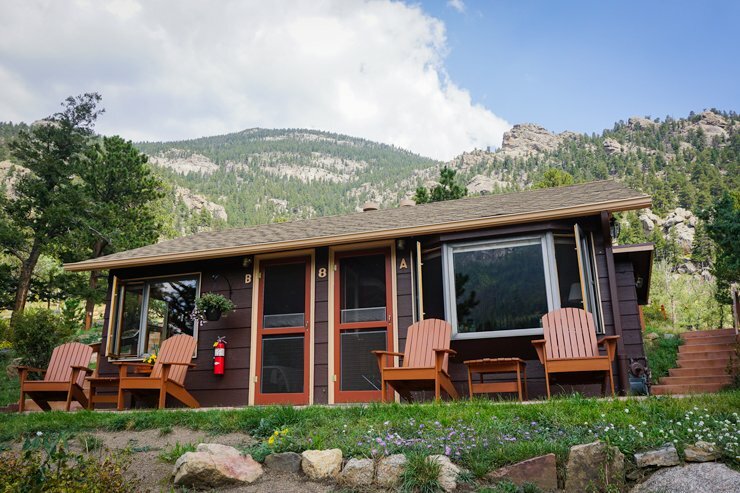 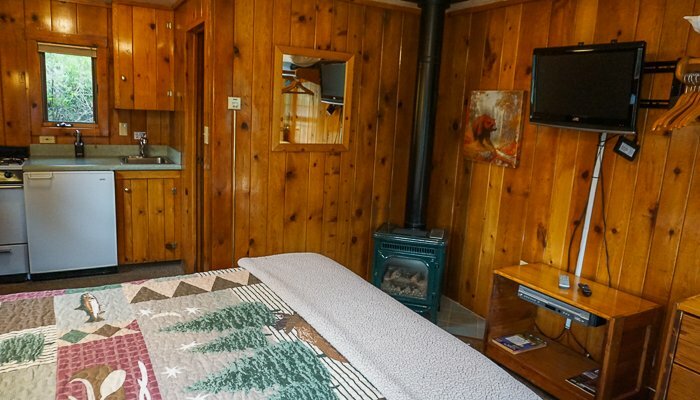 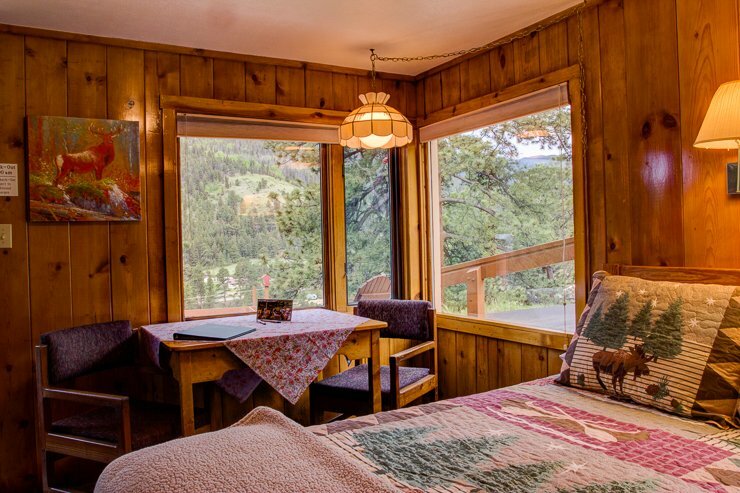 To view availability calendar for our Knotty Pine Room 8B, click here. 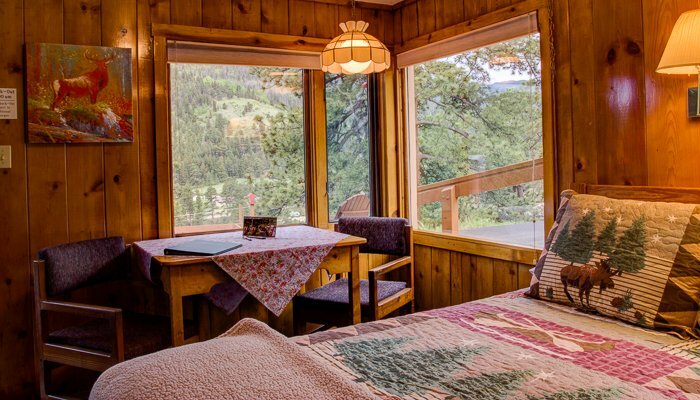 In this duplex cottage, cozy rooms paneled in knotty pine are known for their grand views of the snow-capped Continental Divide and Deer Mountain directly across the valley. 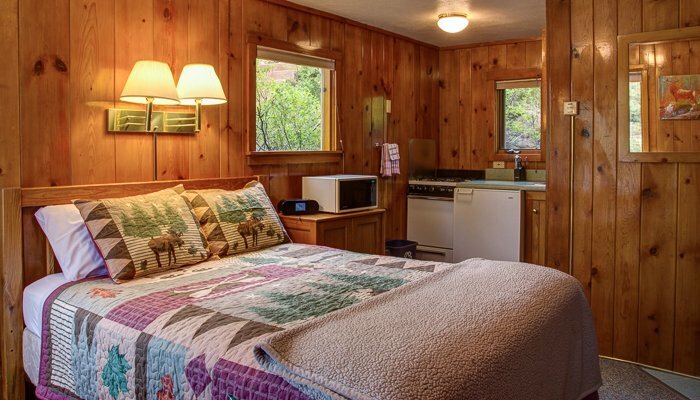 Complete with kitchenette and 3/4 bath in each room, they’re a perfect escape for one or two people. 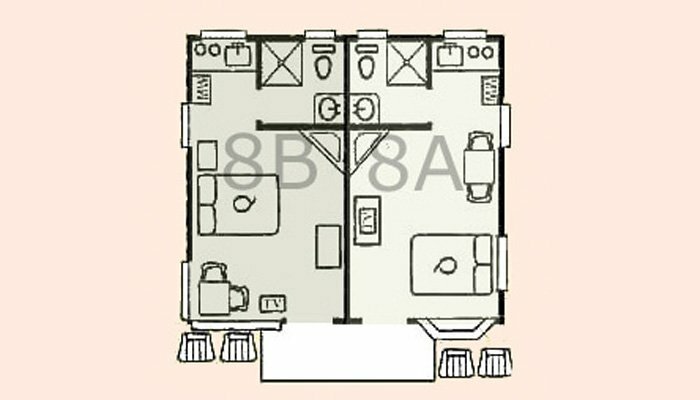 Note: 8A and 8B are rented as separate units.